We 4C Alfa Romeo Coming Back to the U.S. If you love Alfa Romeo and the cars they build then the news that the adorable and diminutive Fiat 500 is coming to the U.S. probably set you on edge as an indicator that Alfa Romeo might come back too. Now with the 2011 Geneva Motor Show behind us we have learned that the Alfa Romeo 4C sports car concept will go into production with the intention of a global rollout. Funny when manufacturers in Europe say that we still feel compelled to ask if that includes the U.S. market—the good news is for the 4C Alfa has said it does. Sounds exciting right? Wait…you want to know what the 4C is? Ah, well that would help, especially since Alfa Romeo intends it to be the brand’s halo car. 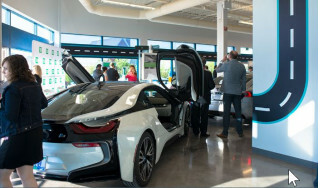 In fact they believe the car “will bring us back into markets such as the United States, where we are not present today," Alfa CEO Harald Wester said. The Alfa 4C coupe is a 157.5-inch long vehicle that will have a 200-hp mid-engine setup and design cues that Alfa aficionados will recognize from the 33 Stradale. Quick history aside—the 33 Stradale was introduced in 1967 as a rear-engine two-seat coupe. 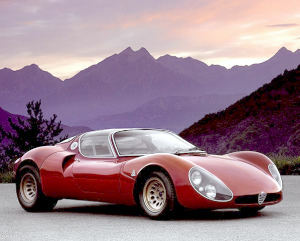 The 33 Stradale powered by a 230-hp 2.0-liter V8 engine that was derived from the Alfa Romeo 33 racecar. If you haven’t seen one in person before, you aren’t alone as there were only 18 units ever built. 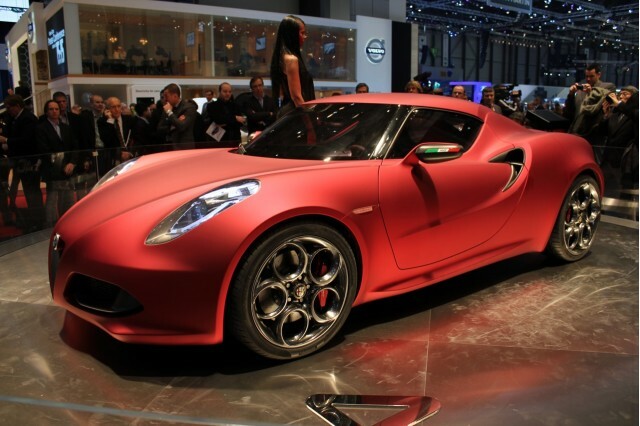 Alfa Romeo hopes to build more than that this time around when the 4C goes into production late in 2012. The current target is to build 15,000 to 20,000 units over a five-year period. An additional 5,000 to 10,000 units of a roadster version is planned to go to the Abarth performance brand. Just think you could park a 4C coupe right next to your Fiat 500. Need a constant buzz? Be sure to follow us on Twitter via our handle @allsmallcars.